Cruising is one of America’s favorite pastimes, and Florida is the launch point for thousands of cruises every year. If a cruise experience results in personal injury to you or a loved one, an experienced personal injury attorney can help to make things right. Weather-related issues: severe weather, including fog, storms, extreme waves and even hurricanes, may impact passenger safety. 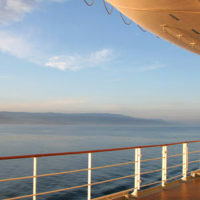 Do not agree to any settlements offered by the cruise line prior to having your attorney peruse the details. Your cruise experience proved to be a calamity instead of the relaxing adventures you’d expected. But that does not have to be the end of the story. If you brought home personal injuries instead of great memories from your cruise, let the experienced personal injury team at the Law Offices of Robert W. Elton work on your behalf. Contact us in Daytona and Ormond Beach today for a free, confidential consultation.